Fluke T6-600 Electrical Tester easily can measure voltage to 600 V ac through the open fork, without test leads. Fluke T6-600 Electrical Tester fieldSense technology for ac voltage, current and frequency measurement without making electrical contact to live voltage. 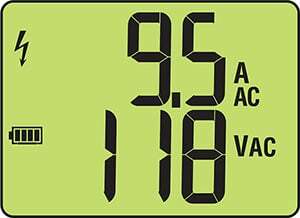 The most important things about the Fluke T6-600 electrical tester that always provide accurate measurement at any environment. We Iconic Engineering Limited offer the top class electrical tester for our customer. As a Fluke distributor in Bangladesh, we always represent the world-class test and measurement tools. Go beyond simple detection. Actually, measure ac voltage and current values without test leads.